Are your children jumping off the walls at home? 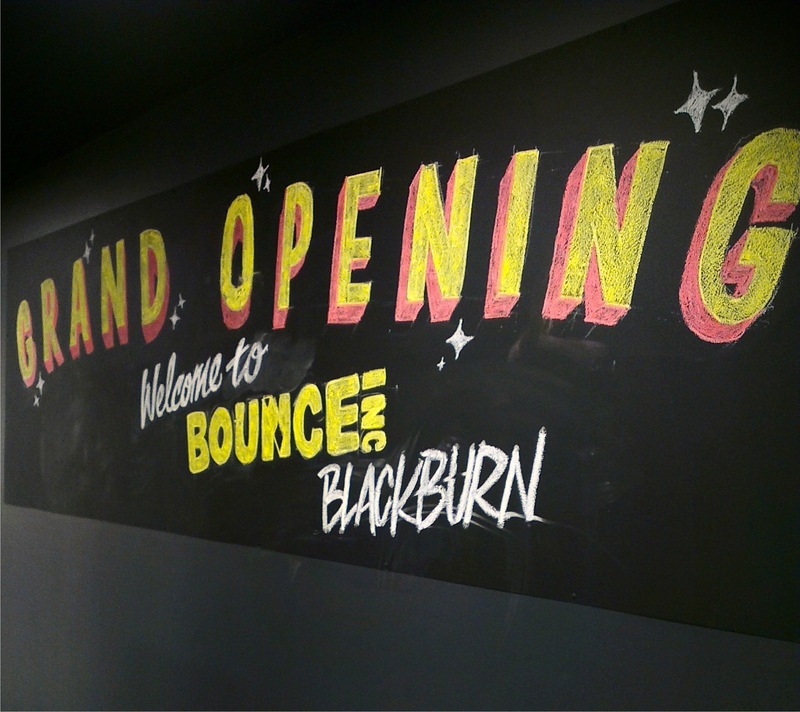 If you're looking for somewhere, particularly over the school holidays, where they can bounce away their energy whatever the weather, there's a new indoor trampoline centre in Blackburn North for them to bounce to their hearts content and not wreck the furniture. We had been to the Glen Iris Bounce before and I'd not stopped hearing about it since. Both our girls (aged 6 and 7) loved it. It's an hour of non-stop physical entertainment for them. 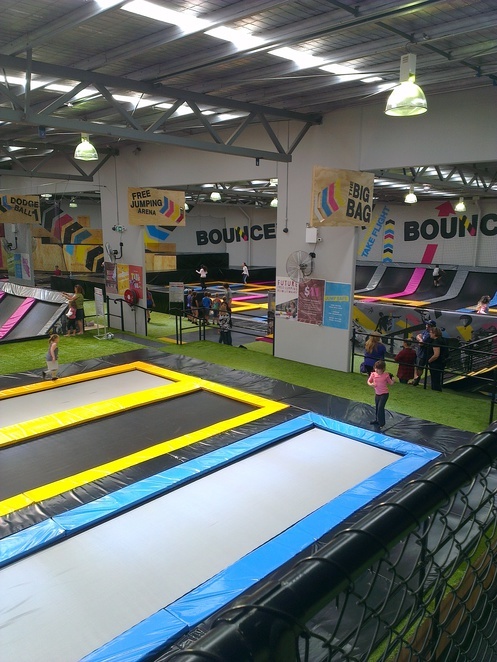 There are loads of different trampoline areas, set up for different types of play. They can bounce along a long trampoline until they get to padded air bags and land with an injury free splat, bounce on over 50 interconnected trampolines jumping and flipping as they wish, or have a go at jumping whilst shooting basketball or a game of dodgeball. One of the best things about it is, as an adult, you can choose to sit up on the balcony level, safely away from the jumping for a coffee break, or join in. Grand Opening - The new centre opened just last week! In terms of comparison to the Glen Iris Bounce Inc Centre, this one is slightly bigger and better. It also has more parking, located under the building. For anyone with prams or wheelchairs there is access on the left-hand side of the building, which isn't particularly well sign-posted, and a lift to the viewing level. It's easy to get to, located just off Middleborough Road, off the Eastern Freeway. Single sessions at Blackburn North run for 50 mins (although this is well and truly enough time to exhaust them) and prices start from $10.50 for Junior Jumpers (three years old to under 110 centimetres) to $16.00 General Access (110cm and above). Special Bounce socks need to also be purchased ($2) for your first Bounce experience, but you can then keep them for future use. Once you get there, head to the top level to check-in and get your wrist-bands for the upcoming session. There is a 'tuckshop' on the viewing level for coffees, drinks, ice-creams, food and any refuelling that needs to be done. 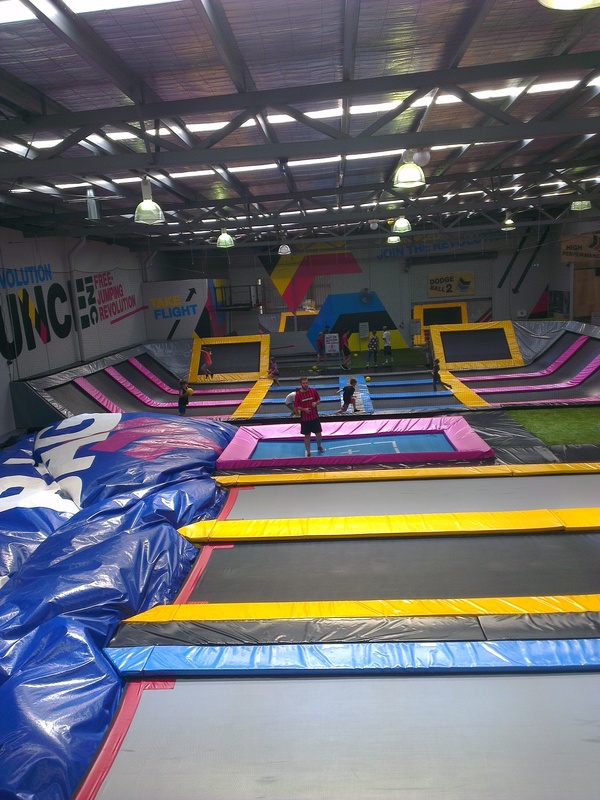 For the kids (and perhaps yourself) to 'join the free-jumping revolution', you will need to decide on your session time and date and Book Online. I recommend booking well in advance, especially over the school holiday period.